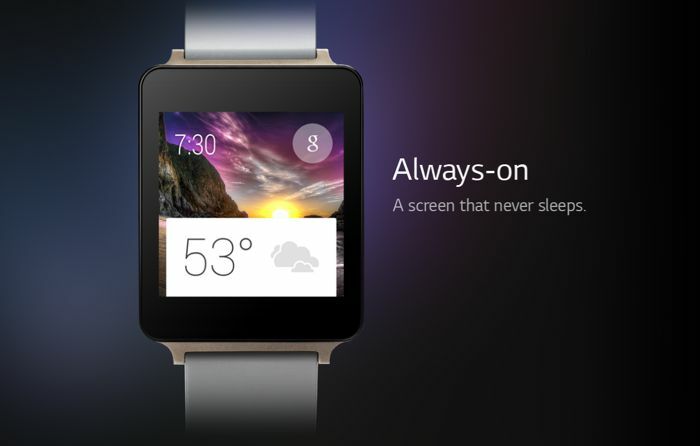 LG G Watch is one of the first smartwatches powered by Google’s smartwatch operating system known as Android Wear. In the past few days, we’ve seen a number of rumors related to the LG G Watch, and the smartwatch was even spotted on the Google Play Store Germany as well. Recently, an image of the LG G Watch made its way to Reddit, showing the smartwatch in all its glory. It’s not different from the previous leaks we’ve seen. Interestingly, the image shows a number of things worth noticing. 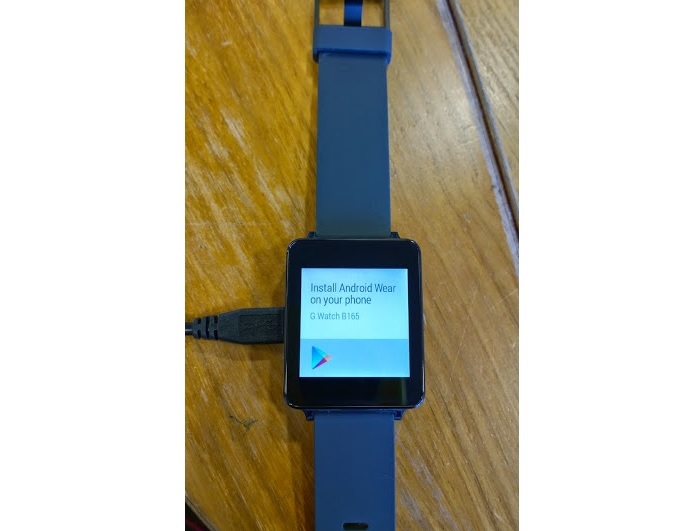 Firstly, the smartwatch will ask users to install the Android Wear app. We’re assuming users will have to install the Android Wear app on their smartphones to use make use of the smartwatch to its full extent. Additionally, it also shows the charging port, which appears to be on the side of the device, along with its rubberish band, which may disappoint a few users. The device is expected to come with a 1.65-inch display sporting a resolution of 280 x 280, as well as a quad-core Snapdragon 400 processor clocked at 1.2GHz. The smartwatch is also rumored to come with a SIM card slot, as well as a battery which can provide users with a decent battery time. LG G Watch is expected to see the light of the day at the Google I/O later this month. Rumors suggest it will land in the UK on 7th July. We’ll update you if we come across any more information about the smartwatch.